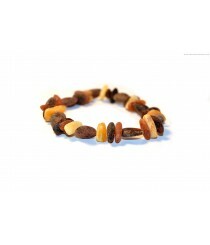 Traditional Bracelets There are 19 products. 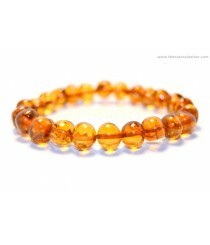 In this catalog you can find a huge selection of Amber bracelets that are suitable for adults. 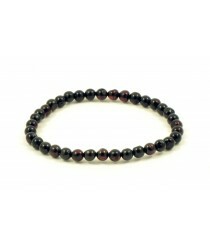 On average each bracelet is 18 centimeters long, which equals to about 7 inches. 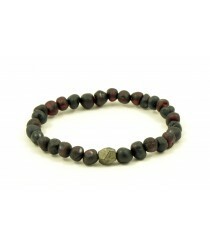 Two main styles for our bracelets are baroque and bean (olive), which can contain either raw or polished beads. 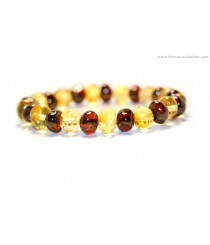 Our bracelets are combined from Amber beads that come in colors like green, cherry, cognac, honey, milky which creates a lot of different designs. 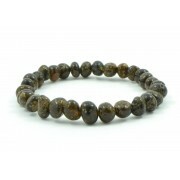 At the moment our product assortment for adult bracelets consists of more than 50 one-of-the-kind designs so you will definitely find a jewelry that you might like. 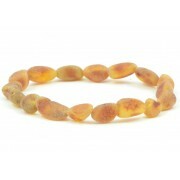 Since our bracelets contain only genuine Baltic Amber beads, wearing this accessory might be advantageous for health. 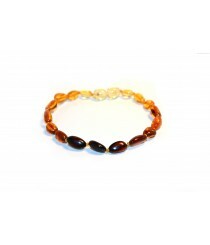 Amber bracelets are particularly recommended for adults who experience pain associated with joints, Rheumatism and Arthritis. 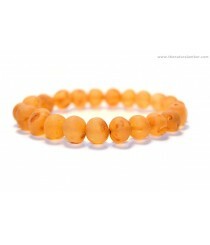 - Do not hesitate to contact us (info@thenaturalamber.com) if you want know prices of these Adult Amber Bracelets or you need other information. 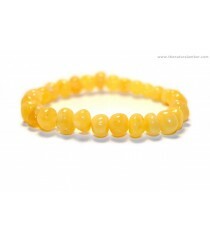 Product ID: L2-1B; Short Description: Light Green Amber Bracelet for Adults, Baroque Style; Minimum Wholesale Quantity: 5 pieces; Amber: Polished; Amber Beads: ~7-8 mm; Bracelet Weight: ~6-7 g; Style: Baroque; Color: Light Green; Length: ~18 cm (7 inches); Clasp: Screw Plastic Clasp. 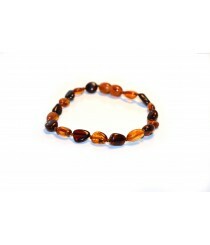 Alternatively this adult bracelet can be made on Elastic Band too. 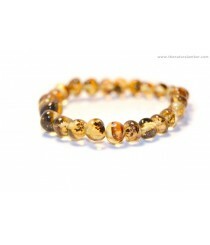 Product ID: L2-2B; Short Description: Milky Baroque Amber Bracelet for Adults; Color: Milky; Style: Baroque; Min. 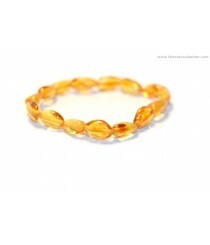 Wholesale Quantity: 5 Bracelets; Average Weight: ~6-7 g; Length: ~18 cm (7.08 inches); Other Features: This Adult Bracelet can be knotted with Clasp (Screw) or made with Elastic Band; Size of Amber Beads: ~7-8 mm; Amber Beads: Polished. 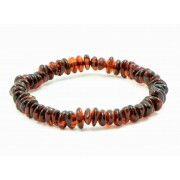 Product ID: L2-3B; Short Description: Dark Green Baroque Amber Bracelet for Adults; Length: ~18 cm (7.08 inches); Color: Dark Green; Min. 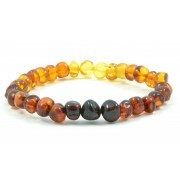 Quantity: 5 Bracelets; Style: Baroque; Amber: Polished; Amber Beads: ~7-8 mm; Average Weight: ~6-7 g; Clasp: Screw Clasp. 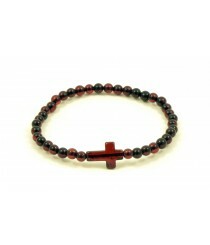 These bracelets can be made on Elastic Band too.